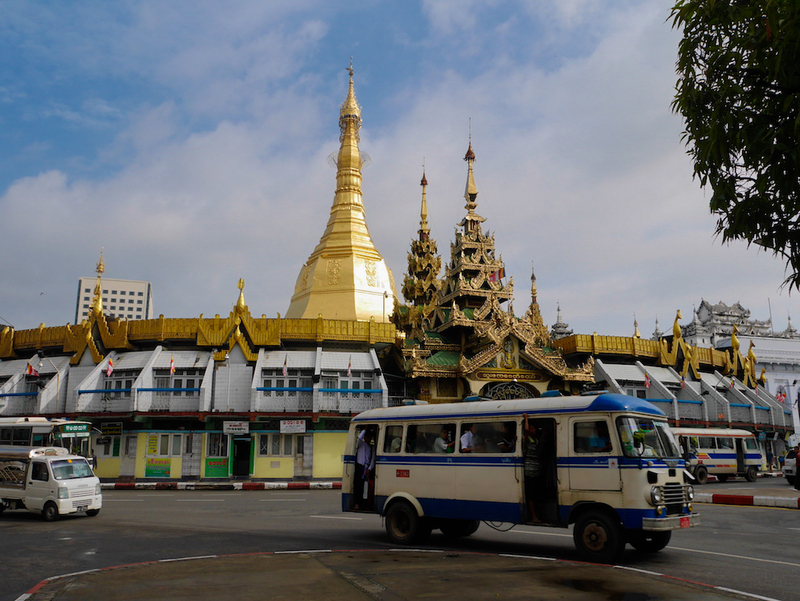 Rangoon, as it was known to be, is perhaps the most exotic city I have been to. Some say this is what South East Asian cities like Phnom Penh and Ho Chi Minh City used to be in their nascence. The technology is yet to overrun the country at large. Having traversed through the temple towns of Mandalay and Bagan in the central region to the hill town of Kalaw and floating villages of Inle Lake in the east, by now I was adequately informed about the history and culture of Burma. 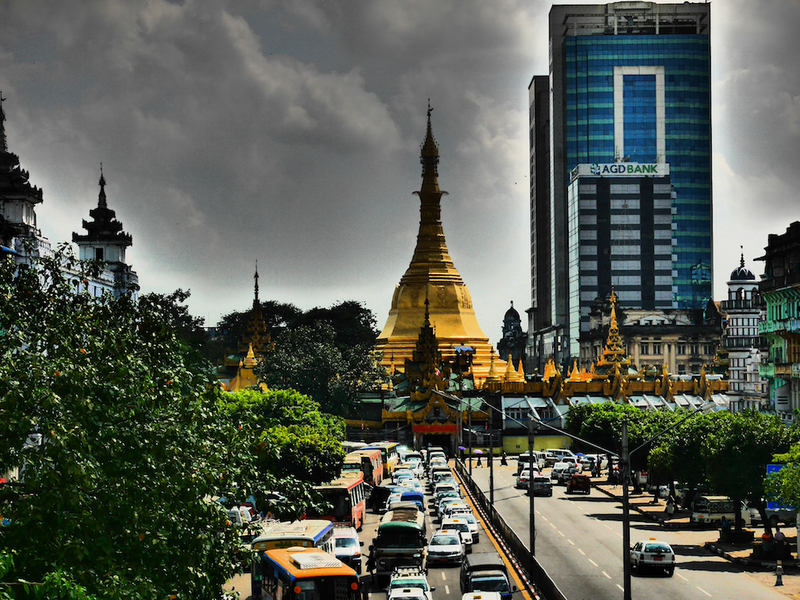 As I began moving south to the former capital city of Yangon, I had eased down with the ways of the country. 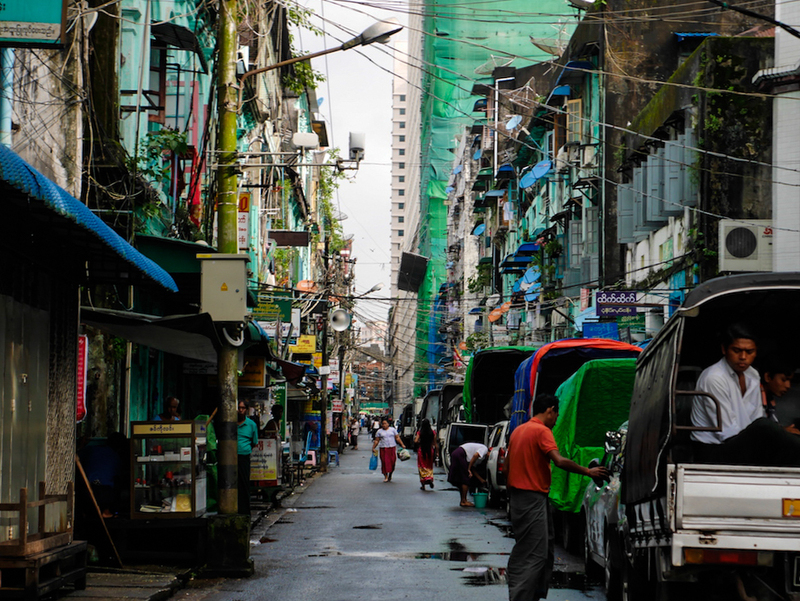 Yangon turned out to be what I had expected of it – a busy city with lots of opportunities to catch up with the local people. 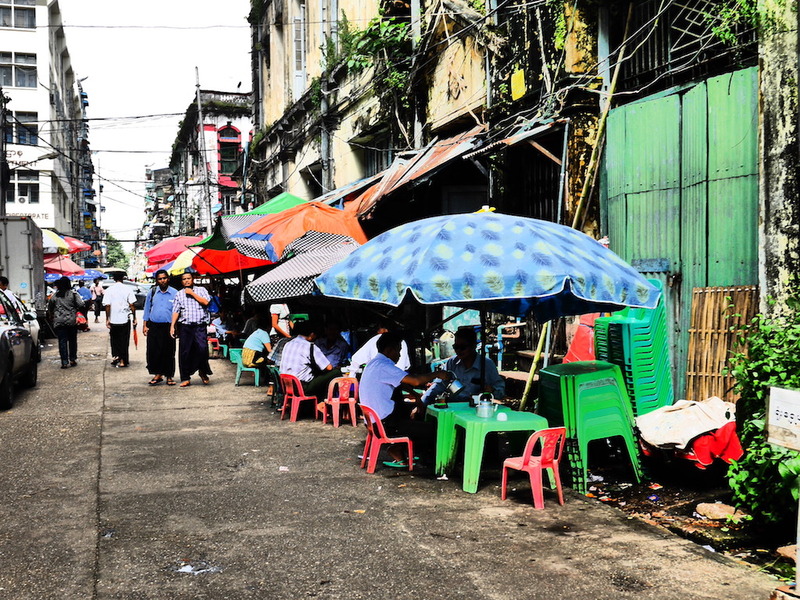 I chose to put up in Downtown, a clear choice for the travellers for most things to do in Yangon are in and around this area. I can’t talk about the rest of the city, but this part of the town is a bizarre blend of the colonial construction interspersed with the glistening tall pagodas, the pointed tops of which are visible from 2-3 blocks away. The search for good breakfast took me through the narrow streets which were damp from the recent downpour. It was too early in the morning for the streets to see hordes. The archaic public buses, stacked up colourful but neglected houses and the lattice of electric wires hanging in the streets were all pointing to the fact that the city is yet to undergo a major transformation. I found a perfect place to start my day – an Indian breakfast shop and ordered roti and sabzi early morning. Sitting there and watching people of Indian origin but Burmese in every sense, made me think of the men I met in various towns of Burma before coming here; their fathers or grandfathers were brought here by the British and never went back. They were drawn to me expecting to make conversation in Hindi. “I have never been to India. I want to visit but neither do I know anyone there nor do I have means to go.” said the hawker who was selling hot fritters on the U Bein Bridge of Amarapura. I empathise with these people as they would never be able to fathom their roots. Keeping sombre thoughts aside, I took the benefit of the empty streets to explore the early morning life. Rain did not hold back young kids making their way to school – girls with Thanaka strokes on their cheeks and boys in Longyis was an endearing sight. The pale Thanaka faces can not be missed, the powder works as sunscreen and is supposedly good for any skin related problems. My wandering brought me to a mosque which added a bold contrast to an otherwise strong Buddhist setting. I followed the tip of the Sule Pagoda through the front alleys where local women were setting up their make-shift shops to sell flowers, incense sticks, gold leaves, etc. for morning prayers. I was templed-out in Bagan and Mandalay and wished to see only Shwedagon Pagoda later in the day, so I gave this one a skip. 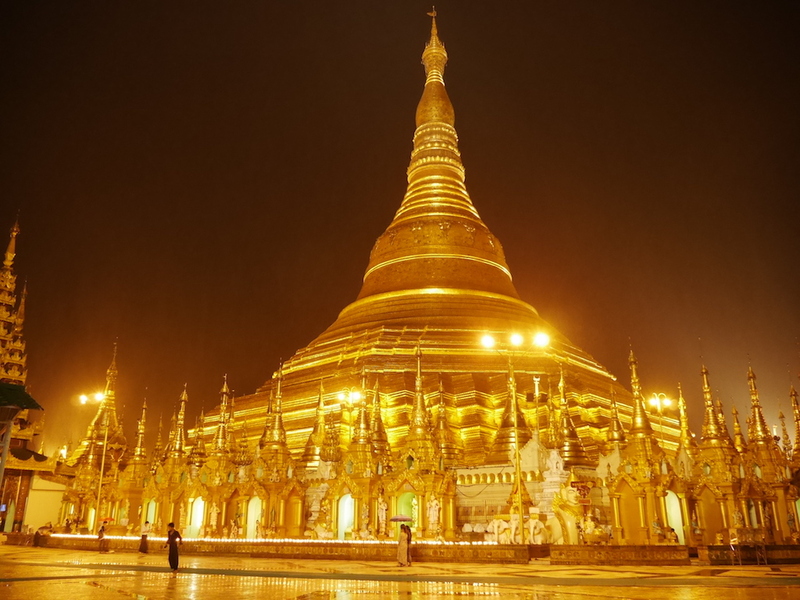 However, the legend has it that Sule Pagoda is older than Shwedagon making it about 2,500 years old. Slowly, the shops opened up, more people were on the road, and the dampness in the air got mixed with the fragrance of the incense sticks. I visited Bogyoke Market in the downtown area which apparently is the biggest flea market mainly catering to the foreigners. 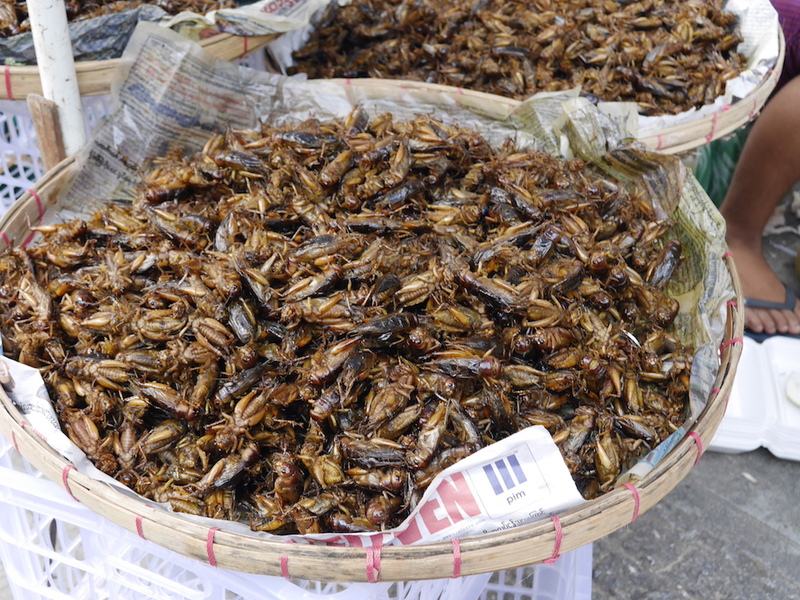 You can buy anything from colourful sarongs to bamboo souvenirs, and if you are not in the mood to shop, then just sample local food that is being sold on the streets. I headed back to my cosy B&B to stretch for a while and ventured out again early evening only to find the provisional tea shops strewn across the streets and not one shop was without customers. It is how local men in check-longyis and bright red-stained teeth, take pleasure in catching up on politics and daily gossip. These shops were selling Mohinga, fish noodle soup which is also the national breakfast dish; all kinds of fried snacks and hot beverages. I too joined them and ordered a Burmese milk tea and Chinese tea. I liked none, but I didn’t mind sitting on the street just to catch the glimpses of everyday life. 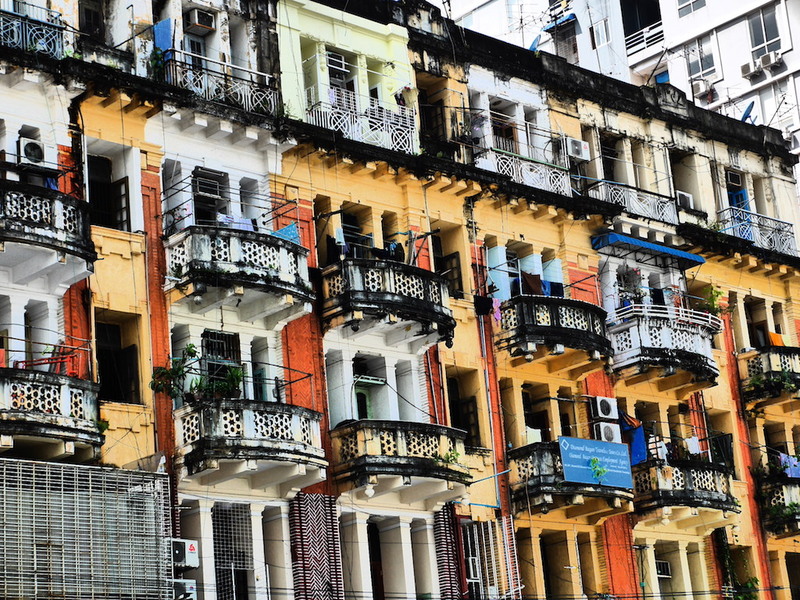 A walk on the Strand Road that runs parallel to the Yangon River will acquaint you to the ghost of the colonial era that lurks in the form Victorian architecture. These buildings now serve as important offices but their walls couldn’t escape the crimson betel-nut spews. It reminds me of the white walls of the Connaught Place in New Delhi washed with similar red hues. By evening it started raining again, but I decided to go to Shwedagon Pagoda anyway, the most discerning icons of the city. The stupa contains the relics of eight strands of hair of Gautama Buddha. It is as beautiful as it claims to be. My enthusiastic Buddhist guide gave an insight into the history of the temple; iridescent gem on the pointed top; several Buddha, their auspicious days and how they translate our birth dates. My auspicious day is Monday and I have the characteristics of a Tiger. I am patient only to a point. “Buddhism in Burma is still pure. We follow Theravada which means teachings straight from Buddha. We have not modified it based on our convenience unlike other countries”; said the guide with evident pride on his face. 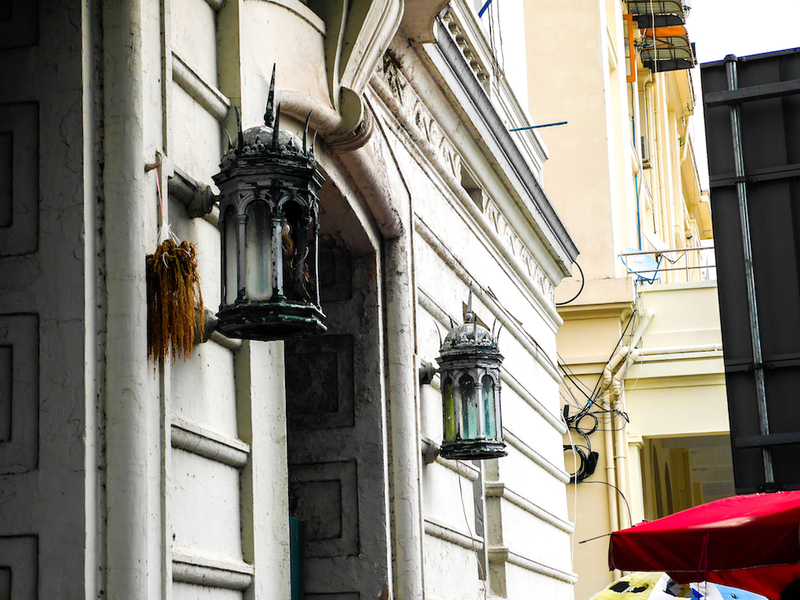 The city is still in its infancy regarding café culture, bars or even good eating places. I decided to finish my day at a local pizzeria with a bottle of Myanmar Beer that costs around US$1.5-2. After a long day, I headed back to my hostel in downtown which had gone to sleep by 10 p.m. The streets, once again, were empty waiting for another dawn with recurring everyday events. Disclaimer: If you make a booking through the links embedded in my post, I’ll earn a small commission from the booking platform. It will not have any impact on what you need to pay. It is one of the small ways I raise money for my travel. I appreciate your support.